NOTE: This is the second part of a two-part series on Mariners Mile in Newport Beach. Part 1, which published on April 9, 2015, delved into potential redevelopment plans of the 1.3-mile stretch of Coast Highway between Dover Drive and State Route 55. Part 2 focuses on how the potential sale of several properties along Mariners Mile could facilitate the expedited redevelopment of one of the most desirable stretches of real estate in Southern California. NEWPORT BEACH — Mariners Mile, a stretch of Coast Highway in Newport Beach once predominantly dedicated to boating interests, could be on the verge of major changes. Multiple sources indicate Ardell Investments, which also has a presence in Ft. Lauderdale, Florida, appears to be on the verge of selling its property holdings on Mariners Mile. Whether the sale signifies Mariners Mile’s transition from a boating-themed destination to an area housing boutique shops, high-end automotive dealers, and trendy restaurants remains to be seen, however. Newport Beach has yet to develop firm redevelopment plans and the city’s zoning laws could restrict certain property uses. The identity of potential buyers or a sale has not yet been revealed. Reliable sources hinted escrow could be closing soon at which point Ardell’s presence on Mariners Mile would come to an end. A potential sale could impact parcels of land on both sides of Coast Highway. Any transaction involving Ardell’s holdings on Mariners Mile will not include company founder Don Haskell, who reportedly passed away in late December. Haskell’s passing was announced on hollywoodlandgiftedpark.com on Dec. 22. Both Haskell and the website are affiliated with The Sherman Company. Haskell founded Ardell in 1958; the company opened its first marina and yacht sales offices in Newport Beach that same year. Its second office was launched 13 years later in Ft. Lauderdale. Ardell’s yacht brokerage and marina fronts on both sides of Pacific Coast Highway with a number of boat brands represented just across the street to the north of 2101 West Coast Highway. The property reportedly occupies about 3.5 acres of Mariners Mile. A potential sale may impact additional parcels of land on Mariners Mile. A news report stated the building at 2241 West Coast Highway housing the clothing boutique store A’maree’s is among other Ardell tenants. Newport Beach’s land use policy for Mariners Mile restricts waterfront development along the 1.3-mile stretch of Coast Highway to harbor and marine-related commercial, institutional, limited housing, and some neighborhood-serving retail. Commercial tenants, neighborhood-serving retail, mixed-use buildings (housing above retail), multi-family residential, and retail on highway frontage are permitted on the portion of Coast Highway opposite waterfront property. Complicating redevelopment plans was the defeat of Measure Y in November 2014. The ballot measure, if approved, would have amended Newport Beach’s General Plan to allow for redevelopment of the city’s major commercial centers, including Mariners Mile. Some boating and marine-serving businesses still call Mariners Mile home. There have been attempts, however, to update the 1.3-mile stretch of Coast Highway, including plans to develop a hotel on Mariners Mile. The plans were scrapped after it received significant opposition from visioning process participants, according to the General Plan. Planners and Newport Beach city staff held a five-day charrette in October 2014 to plan out Mariners Miles future. 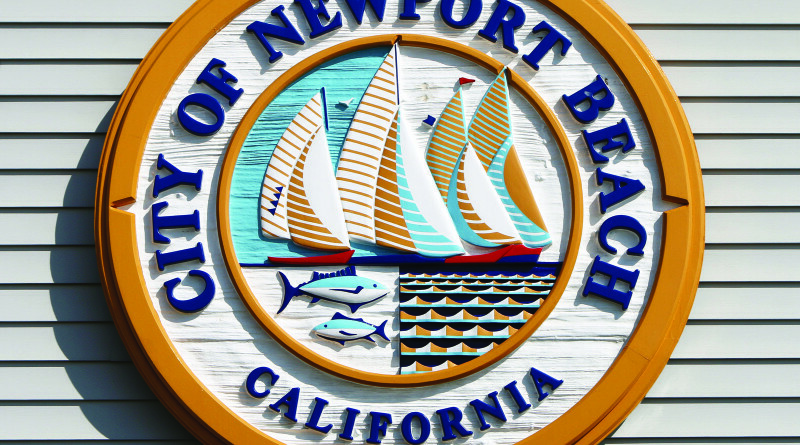 The city ultimately decided not to partner with the group of consultants who gathered community input during the planning workshop and drafted conceptual plans for Newport Beach’s review a few months later. Two potential plans came out of the charrette, including a recommendation to reduce lanes of Coast Highway through Mariners Mile and feature 120,000 square feet of commercial space, 701 new parking spaces and 200 residential units. Stay tuned to The Log for additional coverage of pending transactions and the significant role Haskell played in local real estate.